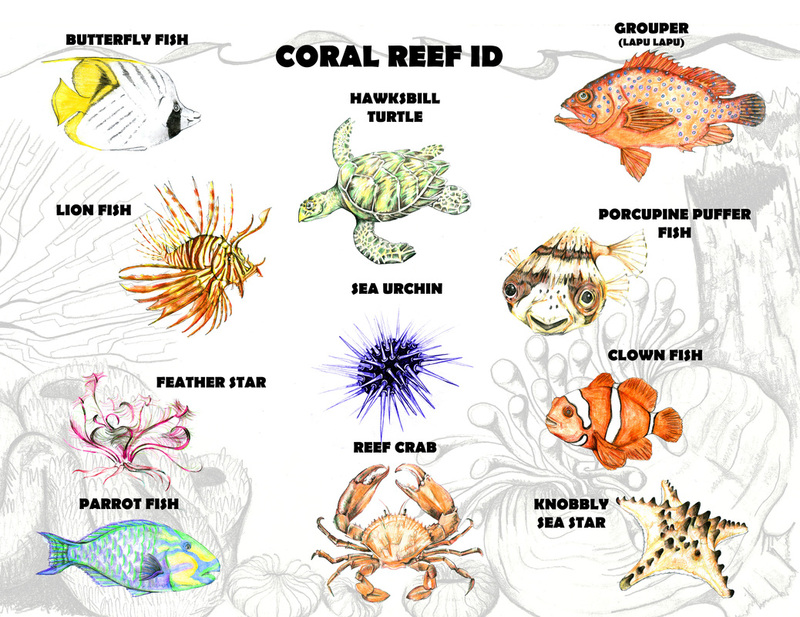 In 2014 I was employed by Reef-World Foundation, a marine Conservation Charity and Stairway Foundation as an Education Consultant and Creative Illustrator/designer for the Sea Adventure School programme. On this page are details of the illustrations for the programme. Curriculum design inclusive of: illustration of all aspects of educational games and activities, learning resources, classroom resources, the learner and teacher guide, boat classroom environment, logo design for related projects, product and boat branding designs, using relevant IT and graphics software. Sea Adventure School is part of the EACY (Education of Children and Youth) programme at Stairway Foundation.